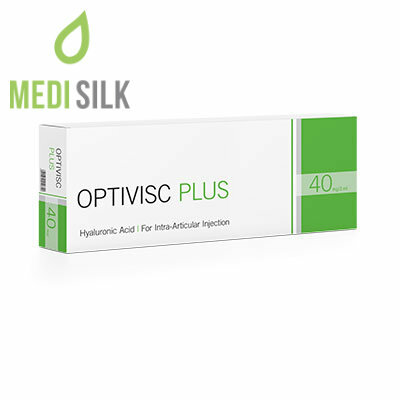 Optivisc Plus is a new form of non-surgical knee treatment. 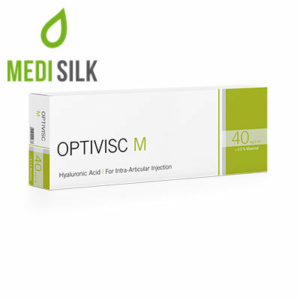 Sold by Medisilk, it comes in the form of three separate Hyaluronic acid injections that are applied directly into the joint to deliver an almost instant pain relief. 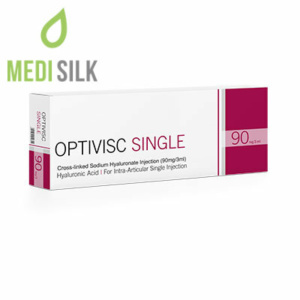 Thanks to this cost-efficient viscosupplement, patients also enjoy improved mobility for up to 6 months. Who can benefit from a knee treatment with Optivisc Plus? 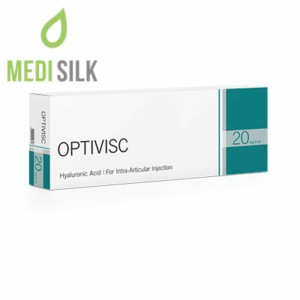 When injected into the knee joint, this reliable medical product will improve synovial fluid’s lubrication. It will achieve that by not simply boosting the lubricating properties of the joints but also by building a protective coat from Hyaluronic acid around them. That will provide fast relief for all of the above-listed symptoms. The effects after a knee treatment with Optivisc Plus may be temporary (lasting for about half a year) but they are fast and guaranteed. What is more, this is one very inexpensive viscosupplement which is more pocket-friendly than a knee surgery, for instance. Even if patients need to undergo several maintenance sessions, they still will not need to part with a small fortune in the process.